In an internal memo last week, American explained that it was going to retire two more fleets in the next couple of years with both the Embraer 190 and A330-300s hitting the road. Both these moves make sense in the context of the airline’s future plans, but it made me think about the evolution of American’s fleet through two mergers and plenty of crises. I went back to the year 2000 to illustrate just how much things have changed. Keep in mind that my seat count here is somewhat generalized. American has changed configurations and seat counts multiple times on these aircraft so it’s more about general aircraft size than it is about exact counts. Besides, it’s going to change again on the widebodies when premium economy arrives later this year. A quick scan of this shows two pretty large trends. One is at the bottom end, where aircraft with less than 120 seats have virtually disappeared from the fleet and the other at the top end where American has been deploying more airplanes with more seats. Let’s start at the bottom end. Back in 2000, the 717s (TWA), DC-9-30s (US Airways), 737-200s (America West and US Airways), and Fokker 100s (American and US Airways) were everywhere. By 2005, those were completely and totally gone from the fleet. After 9/11 airlines cut their fleets dramatically, and a rise in fuel prices meant those older and smaller airplanes became less economical. Beyond that, these airlines began contracting for larger regional jets. This all but killed this size fleet with mainline operations at the time. It was only later when US Airways agreed to take 20 Embraer 190s to re-enter the space that had been virtually abandoned to the regionals. But now, with only 20 in the fleet and big maintenance work due in 2019, American had to make a decision. In this case, it made sense to just retire the fleet rather than grow it and invest in it. The Next Generation: American has nothing on order right now in this size, but that doesn’t mean it won’t. The C-Series and the new Embraer E2 aircraft will be good options here. I don’t expect we’ll see anything happen soon, however. I’ll bet American is holding that decision as a carrot to use during the next pilot negotiations. Moving up the chart, you can see the next size up has shrunk as well, but not nearly as much. That’s thanks only to a huge shift in the aircraft type being flown. This is a category which pre-merger American largely sat out for many years. (Sure there were some that fell into this category during the “More Room Throughout Coach” years, but that was a density issue.) It didn’t bring this size aircraft back again until it started taking A319s just a couple years ago. America West and US Airways, however, had plenty of 737-300s. While those are now all gone, the A319 fleet has grown to nearly match the original size. American likes these for longer, thinner routes but my guess is we’ll probably see some of the pre-merger US Airways aircraft disappear over time as they come off lease. The Next Generation: There really isn’t one on the horizon right now, but my money is on either a larger C-Series or E2 aircraft if American feels it needs something here. The 140 to 160 seat size is a staple in the airline industry these days, and American has had a ton of different airplanes that have fit the bill over the years. Back in 2000, the MD-80 ruled the skies for both American and TWA. The 727s were nearly retired and larger 737s still weren’t in vogue yet. America West and more recently US Airways had A320s, but as you can see, after 2005 that fleet didn’t grow much. American was late to the game, but it started retiring MD-80s in force and you can see that here. In its place? The 737-800. That won’t change. We’ll continue to see more 737-800s while the MD-80s disappear entirely in the next couple of years. What about those A320s? They don’t have much of a place at American anymore, and as they come off lease, the airline has been retiring them. I imagine those will go away completely in time since they just don’t fit in the fleet plan. It’s important to note how many fewer aircraft are operating in this space compared to 2000. Part of this was simply TWA. That was a bunch of capacity that American ended up cutting because it failed to see that the acquisition was a bad strategy in the first place. But another part of it is the growth in A321s. The Next Generation: The 737 MAX8 will carry the torch here with 100 on order. And now on to the A321s. In terms of manufacturer, this is the opposite story of the last one. If anyone needs an example of how Boeing has screwed up in this category, American provides it. Back in the day, the 757 was the king. Yes, the 767-200s had longer range but those were niche airplanes. It was the 757 that served as THE high capacity narrowbody. But then Boeing messed up. Instead of investing in a new version, it decided the 737-900 would be good enough. It wasn’t. At the same time, the A321 proved to be a rock star. American has been rapidly retiring 757s since the US Airways merger, and it will be keeping a fleet only to serve the markets the A321 can’t. That’s primarily short Transatlantic routes, Phoenix to Hawai’i, and some Latin American flights. The Next Generation: It’s all about the A321neo here. That airplane is going to be a category killer, even moreso than the A321 is today. American has 100 of these on order. Now let’s look at widebodies. These aircraft might be technically in the same competitive set, but they did different things. American used to use the A300 back in the day to pack in a bunch of people (maybe even more than the 240), but that’s because it was in a domestic-style configuration. It was useful for flying to the Caribbean and some shorter European stages, but it long ago outlived its usefulness, and that’s flying handled by narrowbodies now. It was the 767-300 that really hit the spot for smaller-gauge, long-haul flying. As part of this fleet announcement, American said it will retire a further 8 767-300s so that only 17 are left flying in 2018. Those can’t be more than a couple more years away from being gone completely. The Next Generation: There’s something of a split here. As new narrowbody aircraft come out with greater range than even the 757, American can use those to fly some routes that don’t need the capacity of a 767 today. But the true replacement is the 787-8 which is already on the property. That airplane can do everything the 767 can do and more. The next level up we’ll call the mid-size widebody. American’s 777-200s with 247 seats used to fall into this category but only because American had a very generous layout on this airplane that was not very dense. US Airways, however, had the A330-200 as a relatively recent member of the fleet to fill that gap. While American has kept 13 of the 777s in a slightly denser 260 seat capacity, that’s primarily for the New York-London route. It’s really the A330-200 that is the workhorse of this category. The Next Generation: American has 22 787-9s on order which are going to fit right into this category. The A330-200s still have plenty of life in them and won’t be going away anytime soon, but the 787s are the future. And now we keep getting bigger. The A330-300 is on death row, and you can see why. With 34 of the 777-200s being reconfigured to have 289 seats, the A330-300 becomes redundant. Further, the 9 A330-300s in the fleet have a Pratt & Whitney engine that’s not on any other aircraft American owns. You can see why this is gone. The Next Generation: There are 22 A350-900s on order which will slot into this space. Lastly we have the big boys. There’s no point in showing a chart here. American had nothing in this range at all since it (along with TWA and yes, America West) retired 747s years ago. But American’s previous management team came to realize that the 777-300 was a good fit for the airline, and that was as smart move. With 18 aircraft in the fleet now, this hits a sweet spot on many big long haul routes. The Next Generation: Good question. There’s nothing on the books now, but an A350-900 or a 777X could come in the future. The 777-300s have a lot of life left in them, however, so I wouldn’t look for this to come soon. One thing you might have noticed is the decrease in overall fleet size. Back in 2000, there were more than 1,400 airplanes flying between American, TWA, US Airways, and America West. Now there are less than 1,000. Most of this is because TWA and US Airways had a lot of bad capacity out there that wasn’t sustainable, but it’s important to note the fleet size has been steady for the last several years. Though we’ll always see some fluctuation, that seems like a pretty good place for the fleet at this point in time. I’m hopeful that eventually American will bring back some smaller aircraft into its fleet in much greater quantities than that in which the Embraer 190 exists today. If you enjoyed this look back, let me know. In the future I can try to do the same for Delta and United. Great post – would love to see UA and DL analysis! Another ditto for DL and UA. Same. This was a really good post. Interesting to see the ups and downs in recent history of Airbus and Boeing in the various segments. What I find weirdest of American’s fleet management, is that it’s all over the place. When you have A319s and A321s, why on earth would you use the B738 in between? I would either expect them switching all to Boeing or all to Airbus, but this seems to be a waste of money to me. At least the A350 vs 777/787 is a different story, but the 150-300 seat range airplanes of Airbus and Boeing are so similar, that I can’t understand why. Thanks for the analysis, very interesting material! Brandon Pedersen, Alaska’s chief financial officer, joked about the added expense of operating more than one aircraft. Pedersen said that as the Virgin A320s come off lease, starting in 2020, Alaska could let them go if it chooses to, gradually reverting over time to a fleet weighted toward Boeing jets. But the conversation on the teleconference did not suggest that is a likely option. Single type fleets are useful when you’re small, they’re not as important when you’ve got good sized single fleets. some sample advantages to each plan below. Note that after a certain size, some of these “savings” in either side may not be worth the tradeoff. 737 vs a32X series – different economics and performance for each size / stage length. Perhaps the 319 is optimized in its size category, 738 in its size and 321 in its size…or AA wants to keep leverage with both Boeing and Airbus (though their size gives them buying power with both regardless). Good read, thank you. Could you see American considering the 787-10 along with the 777x and A350-900? Rohler88 – Well the 787-10 is closer in size to the A350-900 while the 777X is supposed to be bigger than that. I’m not sure that the economics on the 787-10 are proven enough to make American switch from the A350-900 which should be a very good plane in that category. But it seems like it’d be possible. Pretty cool. Definately should do the same for Delta and United. One of the more interesting posts in recent memory. Would love to see DL since their acquisitions seem to have been focused on second hand planes. Also caught a bit of your editorial on the 757. That’s a heated discussion in the land of plane nerds. It’s interesting how airlines are replacing that particular aircraft…a model that every major US airline bought. I’m glad Boeing didn’t pull an MD-11 with the 757 but agree they lost the category as a result. My crystal ball says that the 757 had a time and place and Boeing made the right move economically speaking. Guess we shall never know. Very much enjoyed this post. Please do a related DL and UA post at some point in the future! For the A320/A321s, is it a matter of just having fewer aircraft types overall, poor deals on the A320 leases, or are older build aircraft significantly worse (either from a fuel economy or a maintenance standpoint) than newer ones such that it makes no sense to keep both? Jason H – I think the A320s had started falling out of favor before the merger. The A321 is such a great airplane that the minimal additional costs over the A320 made it worth having those extra seats. Further, the way the A320s are laid out, it’s not easy to put in Main Cabin Extra without sacrificing a lot of seats. So they aren’t doing it and just selling exit rows instead. The A319 is good for many missions but the A320 is sort of a tweener in the eyes of management. I’m not so sure about that! Remember, it’s America West and Doug Parker calling the shots now! Also, remember US Airways’ 737 experience and support with Boeing after the PIT incident. With the recent AS/VX merger, if all goes well – and goes through, I would expect a deal with AS/AA regarding fleets like DL/UA after their respect mergers with Western and Pan Am (route purchase). I would expect a swap of 737-800s for A320s. Very interesting. Agreed – I’d love to see a similar analysis on UA and DL. Thanks! It would be equally interesting to look at the regional fleets. What and when will replace all those aging 50 seat EMB 145s and CRJ 200s? Drybean – I actually started trying to do that, but I gave up because it was nearly impossible to find which aircraft were flying for which partner at each regional. We could look at total regional fleets, but that’s not nearly as interesting. Wouldn’t that be in the annual reports? It’d be a bit to go through them all though. Nick – Unfortunately not the mainline carriers. They do include wholly-owned regionals in the annual reports but not the fleet composition of the partners. Some airlines may do that, but it’s not enough unless they all do. I suppose it’s possible each regional would include it in the annual report, but that’s a lot of regionals to go through. The answer is – nothing. As Michael Boyd has been saying for probably 10 years now., read his blog as well. A lot of lift at small airports is disappearing. Fabulous post! Yes, please do the same for Delta and United. Thank you for this post, as it was very educational and informative. It was fun to think back of all those planes I flew on over the past 15 years. Enjoyed this. Looking forward to more. Must have taken a lot of time to gather and write all this, so give your self a pat on the back. I’ve always like flying on 747/L10/757/MD80 type aircraft and it’s sad they aren’t filling the skies any longer. An airline blogger with something of substance. Nice job Brett. I have been reading this blog for many years, and this is one of the best posts I have seen you put out. I’d love to see more analysis like this. Thanks. First-time commenter here, even though I have read your blog for a long time. You put together a great article with not only data, but also interpretation as needed. Nicely done!!! Great post! Would love to see DL. Thanks! Excellent post Brett – many thanks! Didn’t AA do a fleet rationalization some years back in an effort to reduce the incredible costs associated with so many aircraft in the fleet? Visualize a senior captain retiring, and the multiple ‘move-up’s that causes to fill that seat, resulting in a new-hire walking in the door? With potentially 13 aircraft types in 2015 that will require a lot of non-productive flight training. Add the maintenance burden on top of that, and you can see enormous opportunities for more cost-cutting. Yes, a comparative look at UA and DL would be interesting. Thanks again! Ed – I don’t recall if American did a fleet rationalization at some point, but it’s possible. The way American has it set today seems to make some sense anyway. I found the reference – it was in 2002 when then chairman Don Carty stated “On April 12, American Airlines CEO Donald Carty told employees that “fundamental changes are needed in the way we operate” for American to survive. One step he proposed was “slashing the number of fleet types we operate from 14 to 7.” That resulted in the elimination of the MD90, B717, B727, F-100, DC-10, MD-11, and the start of the elimination of others such as the A-300. Maintenance costs were also a driver. Keeping spare parts on had for each of the fleet types was expensive. Especially for some of the hanger queens like the A-300. Where did America West fly those 747s? And why did American retire theirs so early compared to, say, Northwest and United? Route structure mostly focused on Americas? Oliver, AA never operated the 747-400; only the -100, -200, and SP. Yes, I knew they didn’t have the 747-400 (though I didn’t know they had such an eclectic selection of older models)… but why did they take a different route (pun semi-non-intended) than the others? Oliver – The 747s were acquired primarily to begin an ill-fated expansion into the Pacific. As was mentioned in another comment, they were flown to Honolulu and then Nagoya, the only place in Japan where America West could get slots. They did also fly between Phoenix and Vegas and I believe to JFK at one point. It was a terrible idea. They would have done better to use them PHX-London then Nagoya if they felt they needed 747’s. I’d love to see an analysis of WN! To be serious, how do they have any negotiating leverage with Boeing? Eric – Same way Ryanair has leverage. If they do choose Airbus for future needs, Boeing would be crushed. Granted, Airbus would have to give one amazingly sweet deal, but if Southwest can find a way to keep that in Boeing’s mind as a possibility, then they win. Easyjet switched from boeing to airbus in 2002. Can’t recall others which have as well. But again, aircraft acquisition is just one cost – think about all the other costs – less training, less IT work, less maintenance staff and training, less crew staff and training (fewer reserves), less spare parts inventory (think of all the engines that must sit around the country paid off and not “earning money flying”. Think about their ability to impact the design of the 737 – which Southwest is supposedly influential in. Think about ability to get preferential delivery schedule from Boeing and perhaps other non-cost terms. So even if they don’t get the best acquisition cost (which we don’t know), the total operation may still be better for them — not endorsing the strategy, just explaining. Great post – Interested in United and Delta. Southwest would be interesting, but with maybe two graphs. I think Southwest is slipping, badly and quickly. Don’t get me wrong, I fly WN a few times per year and I do like them. But their on-time performance was horrible two years ago and owning all the gates at one airport only matters if I want to fly there, and there is a price and schedule that works for me. Virgin and Jetblue seem to have a better experience, and Delta’s operation is great (along with their technology and IROP recovery). Southwest is now expensive in many of their established markets (and yes, I know bags fly free, but does not always matter). I do hope Southwest modernizes itself and can reinvent itself for the new world of competition. As for transatlantic, it would completely change the fabric of the airline. Think about it – hallmarks like no seat assignments, no premium cabin or extra legroom, and minimal snacks are not benefits on flights of 5+ hours. They do very little overnight flying, which is the majority of US->Europe flying. Even the operational advantages, like quick turnarounds and 737 economics matter a lot less on long stage-lengths as the airplane can maintain high utilization with more ground time and the 737 doesn’t carry enough passengers for long-distance. So I’m not sure the Southwest brand or economics would give them enough pricing power to really disrupt the industry or be a big profit center. To go transatlantic, they would have to change the brand, and that will be a big deal. I just don’t see it happening anytime soon. South America is much more likely. No, WN doesn’t control all the gates at MDW. The three gates in “C” Concourse are Common Use Gates and controlled by the City of Chicago Aviation Dept. Gates A1 thru A3 are Common Use & International Gates and at least three or four other Gates are used by only Delta. I have nothing constructive to add to the conversation but these are the kinds of posts I love. And agree that it’d be great to see the same for UA and DL. This article was great! I’d love to see the other US carriers broken down in this fashion. I think it would be a daunting task, but an industry wide look at fleet types/sizes would be interesting, considering all the small niche carriers that have come and gone. American West flew the 747 out of Phoenix to Hawaii and also for a short time to Japan. I flew the Phoenix Honolulu route once. Plane was maybe half full at most. Oddly those same two AWA 747’s ended up at TWA in later years as extra capacity when my father flew for TWA. The greatest takeaway from your article is that mergers do wonders at destroying the best fleet plan and the notion that a single fleet type is necessary. AA’s now large fleet of Airbus and Boeing aircraft and even the A350 and 787 side by side exist because individuals companies make individual decisions which can be made to work in the real world – esp. since DL and UA now have very complex fleets. It is not likely that the retirement of the 333 is about much more than that AA knew it had X number more widebodies in its fleet plan 5 years down the road than it needs and the 333’s age and fleet size made it an attractive subfleet to get rid of. Given that much of US’ fleet had power by the hour engine maintenance, the unique PW engines may not have been more expensive to maintain than the decreased crew flexibility involved with a smaller 330 fleet. US’ 333s were heavily used to continental Europe and AA doesn’t have near as much justification for an aircraft of that size in that mission given AA’s stronger presence in the UK and Spain. The 333 is not useful from many of AA’s hubs. I would strongly bet that the 777-300ERs will see several dozen additional seats before too many years – probably soon after UA introduces its 773s. AA does not get enough revenue or have a cost advantage to justify a configuration that is closer to a 772ER than what the 773ER could hold in a still premium configuration. Yes. Very interesting indeed. Maybe your best post ever. Please bring on DAL and UAL. Thanks, Brett. Fascinating! Yes, let’s see them for DL & UA… especially DL..
adf55 – Yep, the A321LR (or A321neoLR). It’ll have a bit more range than the 757, at least that’s what Airbus says. It is interesting to see such a mix of aircraft different airlines have and what they need them for. I wonder how screwed Boeing will be when the remaining 757s are retired and the airlines buy the A321 NEO to replace them? The 737-900 is so much weaker than the 757 in terms of range or short field ability. I understand the range difference but what do you mean by short field ability? the -900 needs a lot of runway to take off. I believe it takes another 200-300 feet over the -800. There likely aren’t many airports where that is a problem, but loss of flexibility is not ideal. In certain times of year, airports considered “hot and high” (think summer in LAS, DEN, SLC, etc.) have reduced aircraft performance. This happens because the air pressure is lower, so more speed is needed to generate takeoff lift. To get more speed, it takes more runway. To counter this, you either need bigger engines, longer runways, or reduced weight. As weight is the only thing you can control, this causes an operational challenge so airlines either have to choose a different airplane (hard to do day of, and makes fleet type less appealing in planning) or enforce weight restrictions (sell fewer seats, don’t take cargo, etc. which hurts economics) or in extreme cases cancel the flight as needed. IIRC, the 757 is able to take off using less runway than the 737-800 or 737-900 with a larger load to boot. hp america west flew ex klm 747-200 from phx and las which were their hubs to hnl, then won rites to nagoya japan but it was too costly to operate two aircraft so they lasted less than a year. my buddy from delta said delta is buying aircraft from all over the world. sas for md-80s for parts europe for 717s. shanghai airlines for the last batch of 757-200ers that were made and now as you see 777s for parts and possible exspansion of that fleet. Delta is extremely good at buying parts, planes, and fleets at good prices from anywhere in the world they can find them. Their strategy is to operate both new and old airplanes (though many refurbished interiors that look new), blending capital cost (aircraft purchase and leases) with operating cost (fuel and crew). This lets them vary capacity quickly, worry less about utilization, and try to lower acquisition costs. I think DL bought every last L1011 in the early to large 90s from Eastern, TWA and others. As a Platinum medallion at that time, I couldn’t have been happier. 36 seat first class sections… God I loved those planes! I really don’t get it. What counts is revenue, and there are many other drivers other than the number of sewts. Witness JetBlue, whose revenue went up when they reduced the number of seats on some of their 321s from 180 to 159.
your point is valid. JetBlue basically started taking new 321s and converted the additional space to add a transcon premium product, something they did not have. They recognized what the network carriers have known for years – that complexity does create revenue opportunity. It is no different from JBLU’s decision to add international routes earlier than Southwest that kept to a 48 state domestic operation for much longer. When the cost of creating complexity is less than the additional revenue created, it makes sense to add that complexity. AAL and none of the US network carriers are adding products that are dramatically elevating the revenue generating capacity without adding a lot more complexity – but the new premium economy cabins which AA and DL have both said they are adding will probably do that. ON longer flights, there is a market for a more premium product and for sub-dividing product offerings to generate more revenue. In general, though, US airlines have to be able to demonstrate that they are generating higher revenue by having fewer seats with comparable levels of service to their peers or that adding seats to a market via larger aircraft increases revenue above incremental costs. In general, it is easier for US carriers to show that using a slightly larger aircraft is more efficient than it is to show that having a less dense configuration than their peers for the same/comparable model. 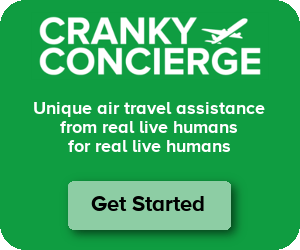 Thanks, Cranky, and yes, please do the same for DAL and UAL! Really great trip through history. Thanks for doing the research. Great post, thanks! And I’d love to see the same analysis for Delta & United. The final comments about how fleet size has shrunk over all left me wishing for a version of the first total-fleet graphic, only with actual counts rather than percentages for the vertical measure. Great report and very interesting. I always wondered what happened to many of these aircraft and it reveals the logic being used in phasing out and bringing on line new aircraft. I would love to see the same type of report on Delta and United. Delta will be interesting with their business plan of fly them til they drop. And I think the confusion and bad management at United will also be revealed. Great work, and keep it up. Thanks for this very interesting piece. Would love to see this for Delta too. Thanks Captoza. My numbers are very close on most of these. I thought the 747s were all gone by year-end 2000 so I left those off. And the DC-9s, I also thought were gone but I think you might be right that a couple stragglers were still around. I just double checked and stand corrected……the 747’s were gone by 2000. The remaining DC9’s retirements were expedited after the bankruptcy and gone by fall 2001 from what I can tell in a fleets directory. I would like to see further analysis. Very interesting read, thanks for that. Glad I flew on an A333 once anyway before they bite the dust. Your thought that the TWA acquisition was a bad one is inaccurate. AMR took out a direct competitor and gained a qualified workforce at a time when crews were scarce, as well as picking up its market share. Through the prepackaged bankruptcy it shed unions, old equipment, and debt. Furthermore, with the elimination of TWA ticket counters, and by taking fuel costs off spot pricing and putting TWA on the American fuel contracts it paid for the acquisition within one year. Initially, I thought the acquisition made Lille sense but, in fact, it was a brilliant move. Had American tried to expand organically by going toe to toe with TWA it would have driven TWA out of existence but it was cheaper to acquire it on AA terms, secure the market share, and reduce costs. Sometimes you need to look beyond the obvious! AMR didn’t need to go toe to toe with TWA, they were doing just fine. AMR’s purchase of TWA was a disaster for them from the start and their management lied to the US Congress regarding the purchase agreement. The purchase agreement was a forced bankruptcy of TWA by AMR. In the end TWA’s Bill Compton sold his fellow TWA employees out. I watched the hearings on TV. After the TWA buyout, AMR’s overall on-time hub was not ORD, DFW or MIA, it was STL. 9/11 killed AMR’s real plans for the TWA buyout. Although TWA did have other offers, such as Boeing and America West just to name a few. Well done article, very informative. Thanks for compiling all that data into useful information. Yes, to see this for Delta and United would be interesting to compare with AA..
Best post in a while, and I say that enjoy the usual! Very interesting. Please do for the others, esp DL! I really enjoyed this post. How about doing the same kind of post for British Airways? They’ve grown over the years through numerous acquisitions then scaled back by stopping to fly from the regions to focus on point to point flying to/from Heathrow. Ok, ok, I’ve had so many people ask about BA. I think I can cobble together enough info for it. I’ll work on it.